I took these shots Thursday morning. After the sleet and freezing rain Monday night the surface was so hard that there weren't any tracks and only a few breaks from my boots. Wednesday was sunny and the melting began to be followed by a brief snow so the next morning prints started showing up. 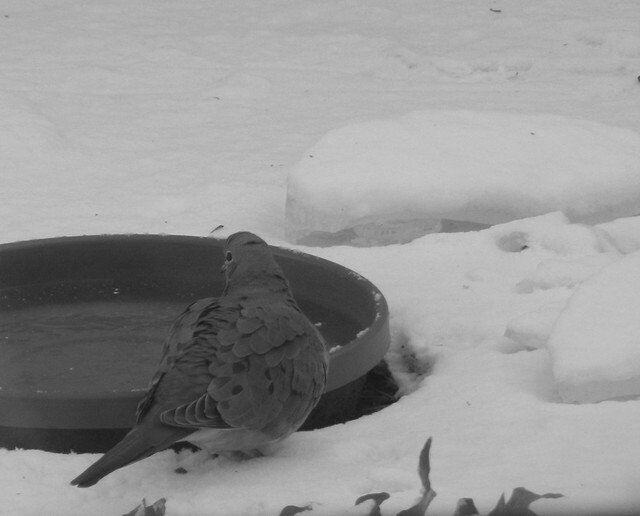 The dove in the middle shot was waiting for me to add some warm water which I did but it's so cold today the birds have to be quick because it is refreezing too fast. I'm giving them bath and drinking times but can't keep up with it as much as I normally do. The first shot is of bird and squirrel prints and the last one is my boot. Click the following link for the home of The Weekend in Black and White. Love those snow tracks! Great photos! We are being told by the forecasters that there is a 100% chance of heavy snow tomorrow in our part of Virginia. 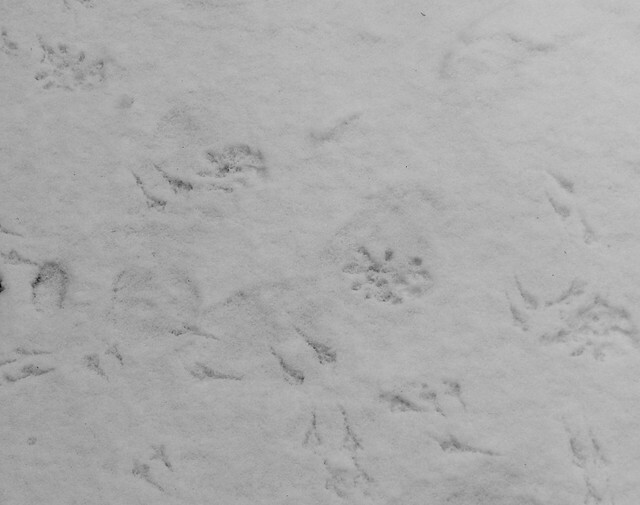 The squirrel prints look as if snowflakes have been stomping about in boots. I wish it would be spring soon! Nice shots though! The prints in the snow are so pretty. Poor birds and squirrels -- you could have a full-time job in that weather just trying to keep the water unfrozen. The tracks on snow look attractive. Hope the bird can survive. Beautiful photos! Wonderful footprints in the snow! Great photos of tracks. We very rarely see anything like this. Wonderful pictures. 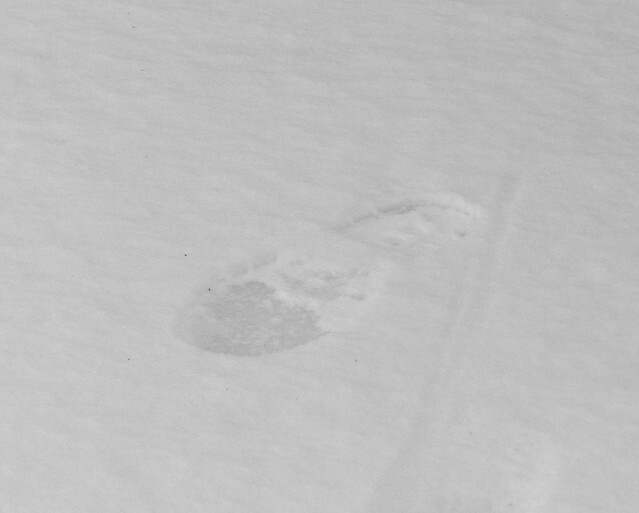 I love seeing footprints in the snow. Fine photos of the tracks! Great in B&W! Love the tracks in the snow.